Vince Staples is not afraid to share his opinion. And it’s his delivery that is known to start a conversation. The 24-year-old Long Beach native melds thoughtful social commentary into subversive raps dropped over house beats. This unique approach has left him outside of the parameters that traditionally classify many rappers. It’s the intrigue around him as an individual — his demeanor, his unassuming style — that made his Big Fish Theory one the most discussed albums of 2017. It’s his undeniable talent and storytelling ability that made it one of the top recordings of the last year. 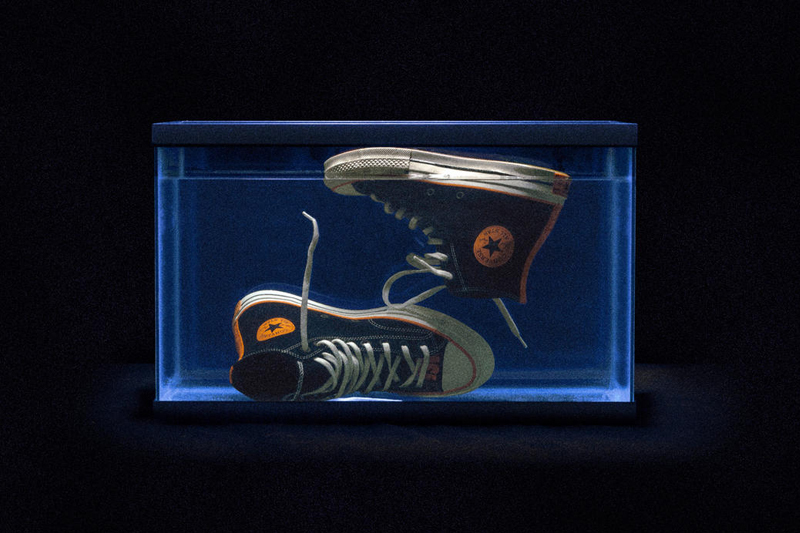 On January 25, Converse and Vince Staples celebrate Big Fish Theory in the first collaborative capsule collection between the brand and artist, applying the album’s motifs onto Chuck 70 sneakers and Converse Essentials apparel. 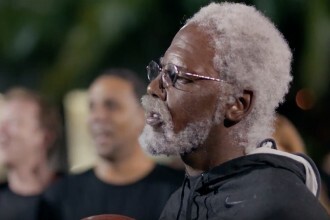 “If you’re not really paying that much attention, you won’t know the difference. But [the Chuck] is something that a lot of people use to be able to assimilate into any room they’re going into — every type of person,” says Staples. 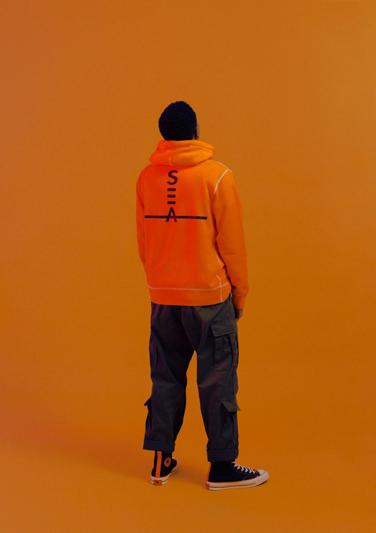 The collection’s key colorway, orange, is a nod to the goldfish on his album cover. This bright color contrasts the collection’s darker tones to make for highly visible gear. Both the Hi and Ox Chuck 70s are built with an aquarium sockliner, Big Fish Theory graphic outsole and “Vince Staples” embroidered on the medial collar. 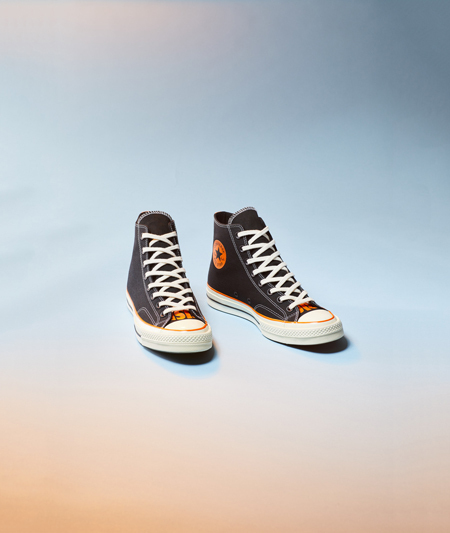 The Chuck 70 Hi boasts a “Big Fish” screen print in orange that stands out against the sneaker’s black tongue. 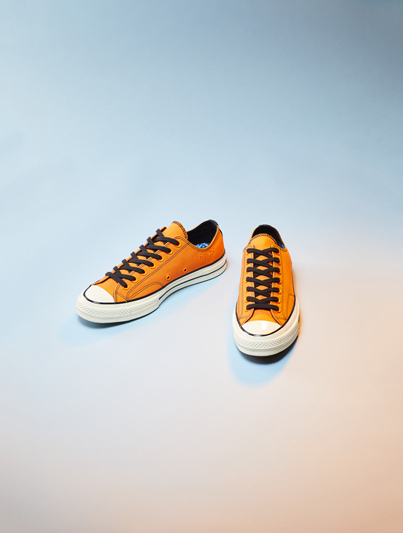 “The story of the Chuck Taylor is accessibility and culture,” notes Staples. The Converse x Vince Staples collection is available January 25 on converse.com and at select retailers.